Issa Vibe has been taking over Helsinki's club scene like a storm with their hot & sweaty RnB and hip-hop parties. We sat down with the guys everyone is talking about. Read all about it from below. 1. Hey guys, can you tell us who you are and what you do? We’re KASPERG & Mumin -> A movement called Issa Vibe. Besides the two of us, there are two key players in our team behind the curtains: Osmo Nunoo and Veikko Heikkilä. 2. What made you launch the ISSA VIBE collective? An idea of fun times while playing B2B and having our best friends partying next to the DJ booth. We also think it’s important to create a good and happy environment, where everyone feels good - just the way they are. 3. What is the best memory you have from one of your parties? 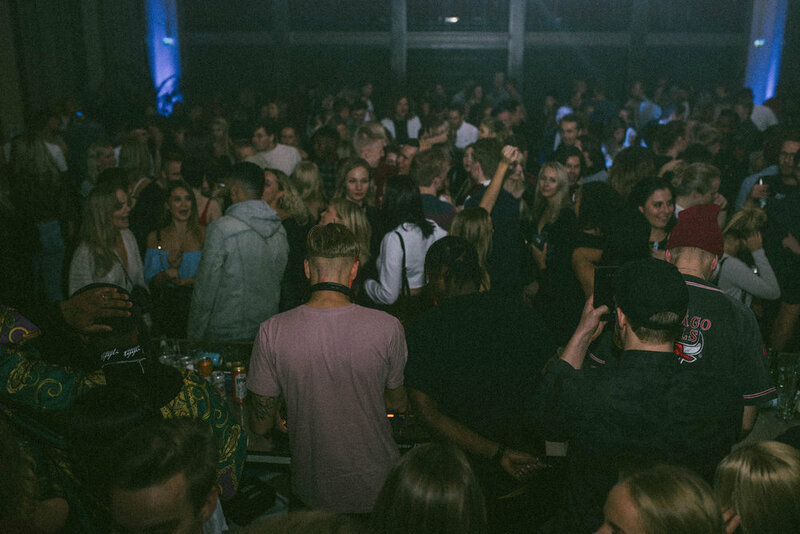 At our first ever Issa Vibe club night last year in Helsinki, there were so many people cueing in that the club bouncers could not let anyone out for a smoke. We broke the club's capacity record that night as well! Another great story is when we played B2B in Berlin, but it’s a long story and needs its own article hahhah! 4. Where do you see ISSA VIBE in the future? At the biggest festivals worldwide, let's start with Finland and Europe. 5. ISSA VIBE will BE hostING the official afterparties of Block Festival on both Friday and Saturday at Ilves Hotelli Tampere. What can we expect to see in there? We gathered a colorful lineup of Finland’s most talented DJ’s, who we are blessed to call family. Hit "Attending" to stay in the loop about the Issa Vibe Blockfest afterparties here.